What’s the first thing you look at when you land on a blog post? Do you start at the beginning, slowly savouring each sentence as the author intended, do you skim read the recipe before deciding whether to bother reading the rest of the article, or you more of a pictures person, enjoying and assessing each image as it unfolds? When I’m writing a post, I always try to keep all three types of reader (though these are pretty broad categories, I’m sure you could break them down into many more) in mind. Words are what come easily to me, but I also make sure to check my recipes, instructions and ingredient lists carefully, and, although I’m still very much a novice in this department, try to take as pretty and as representative photos of my food as possible. A number of recipes have never made it onto this blog because I haven’t been happy with, or had the time or inclination to take, photos of them. Winter warmers like toad in the hole and macaroni cheese made only after dark when lighting conditions are non-negotiable, fried or fish dishes which need to be eaten instantly to retain their perfect texture and flavour, or tiered cakes transported to parties where photographs are all but forgotten in a blur of eating, drinking and celebrating: there are a lot of recipes I’ve wanted to share with you here, but haven’t felt able to. This blood orange sgroppino almost became one of those recipes, but the oranges were too beautiful and the taste too incredibly delicious not to share. I’ve been wanting to make something with blood oranges for ages, captivated by their ruby red flesh and sweetly sharp juice, so the other evening when my Mum came round for dinner, she brought me six beautiful specimens, wrapped in a brown paper bag from the farmer’s market. Unsure how I could best use them to preserve their beauty, I took a couple of photos, then sat them on the side while I trawled recipe books and the internet in search of a recipe. After much deliberation, I decided on a sorbet. Simple and clean, sorbet is the perfect showcase for a fruit’s natural flavours – no mucking about with lots of extra ingredients, just a light snowy shower of sugar, a minute or two of cooking, then churning into a smooth, delicate ice. Six oranges produced just 300ml of liquid, so using this David Lebovitz recipe for blood orange sorbet (but reducing the sugar as I like my sorbet a little tart), I made a small amount of beautiful blood red ice. I’d originally intended to pack my sorbet into hollowed out oranges, something we often used to have for pudding at the local pizzeria near my parents’ house in Italy, but with such a small quantity, it hardly seemed worth it. However, thinking about Italy and sorbet reminded me of the incredible part dessert, part drink, part palate cleanser I first discovered on holiday by the Italian seaside with my family: sgroppino. Add a splosh of vodka & a splash of Prosecco . . .
A sgroppino is an incredible Italian cocktail made from lemon sorbet, prosecco and vodka. Sometimes a little egg white or cream is also included to add to the light, frothy texture, and served in a tall, thin glass it’s the perfect palate cleanser. Taken from the word ‘sgroppare’ (to untie), it’s traditionally served as an after dinner drink, the sharp, sweet sorbet and alcohol cutting through the richness of anything you’ve eaten before to leave the stomach lightened and the tastebuds refreshed. Although it contains a generous slug of vodka, a sgroppino is light, lemony and alive with an alcoholic undercurrent that is never overpowering. Substituting blood orange sorbet for the lemon, I served these bright little bursts of sunshine on Saturday evening when we had friends round for dinner. With just enough sorbet to make two drinks each, it all disappeared a bit too quickly and as the clocks hadn’t yet gone forward, lighting conditions meant any photos really wouldn’t have done justice to the drink. But luckily I managed to snap some shots of the oranges as I was making the sorbet, and this drink is just too delicious not to share with you. If you’re the kind of person who reads every word of a post from start to finish, I hope you’ve enjoyed my ramblings. If you scrolled straight to the bottom for the recipe, you won’t be disappointed, it’s all there, and incredibly easy to make. And if you’re the kind of person who only looks at the pictures, I hope you can appreciate these beautiful blood oranges in their natural form, and can use your imagination to conjure up a frosted glass filled with a pale red liquid, tiny bubbles breaking on the surface and incredible flavours lurking within. Put two champagne flutes in the freezer to chill – you wanted a nice frosted effect on the glass so this drink stays really cold. Whisk together the vodka and blood orange sorbet in a small bowl until light and frothy. Remove your champagne flutes from the freezer and divide this mixture between the two. Top up with the Prosecco, stir gently to combine and serve. Could you recommend an ice cream maker? Seen so many great looking ‘frozen recipes’ on here I’m dying to try out but need to make that small purchase before I can attempt! Nothing about the way you blog says “novice” to me. I love your blog posts, I love the creative ideas and the recipes themselves. I love the writing, the introduction, the stories, the explanations. Though I think if you make something you love, and only grab a cameraphone image of it, it’s still worth sharing, if it was really good. Images really help but they’re not 100% essential. Love them though I do. Your blog is one of my favourites and I often envy your beautiful posts! My browser wouldn’t load the last photo, but this sorbet sounds amazing and refreshing anyway – perfect for the sunny days we are getting lots of now. 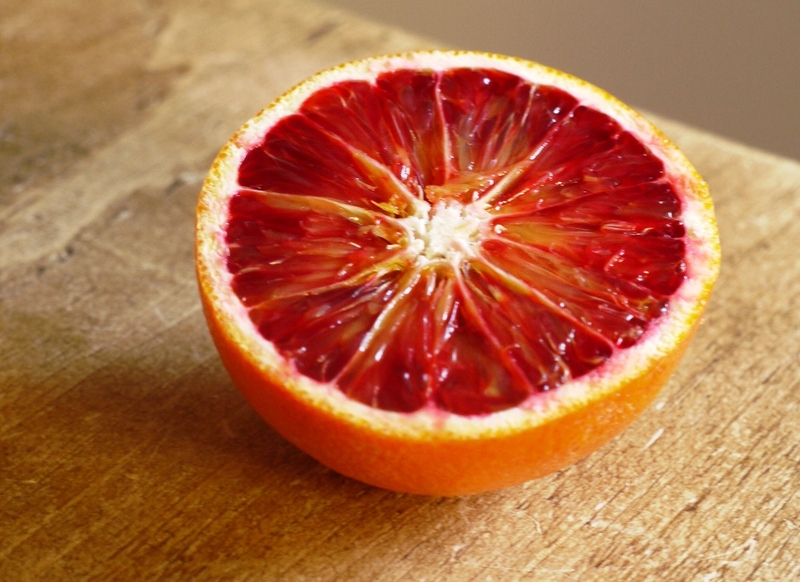 Blood oranges are so delicious. I adore, adore, adore this. Usually I put blood oranges in salads with fennel and black olives or squeezed with Campari, but next time I’m using them for this. Gorgeous. What a beautiful post! And normally I think I am very much a photo person (ironically, obviously) but with this one I realised how much I love learning as well. My husband adores blood orange sorbet, so Im going to tell him all about this dessert! Have a great week! Jeanne – I found it really hard to find them this year, hence having to ask my Mum to bring some over! Ellie – I use a Cuisinart Duo ice cream maker which is pretty good. Otherwise I think Magimix and Kenwood make good ones, although I wouldn’t want to recommend without using one… Hope that helps! Kavey – aw, thank you! I do agree, if you love a recipe enough you should blog it regardless, although as I’ve become more interested in photography the perfectionist in me likes to only post the best of the best! Jaime – thank you and yes, it’s absolutely perfect for this sunny weather. Tori – thank you. Blood orange and Campari is another killer combo – you could replace vodka with Campari in this quite easily. Em – thank you. Hope you get a chance to make it soon! 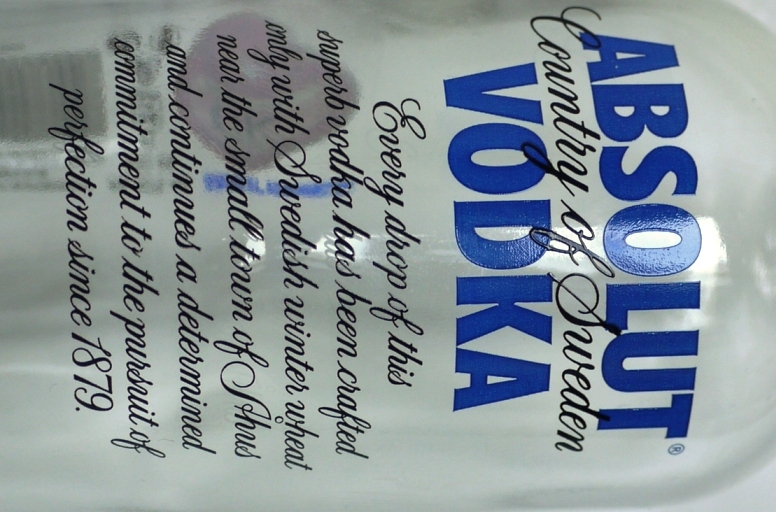 I have had these cocktails once before and *adored* them but never knew the name and to be honest, since it was late and a houseparty, assumed they were made up. I am so pleased to find out they are real! 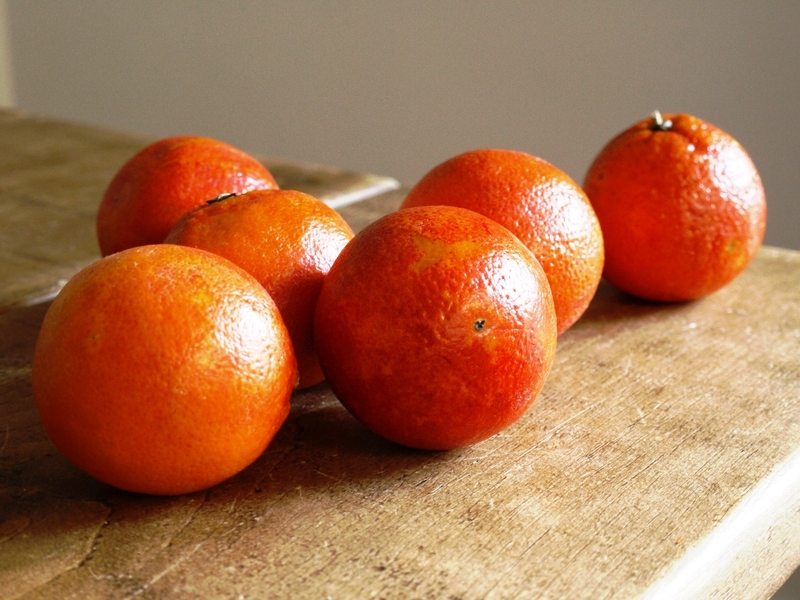 These are particularly beautiful (and beautifully photographed) blood oranges. I want them…. I’d like to think I’m an “all of the above” type of reader. I think it depends on the blog though– we all have our advantages in what we do, I think. I think I take the same strategy as you and at least try and fit all of the critera. 🙂 All parts of the blog presentation are fun though, and you definitely meet all three for me! And I know what you mean about not posting some things. Some things are just too beautiful or the moment isn’t right and you don’t want to spoil it with photos (or there’s just plain lack of natural light and the photos would turn out wonky anyway). So glad you shared this recipe though, it looks delicious! I’m another one who loves your posts just the way they are, I think you manage a perfect balance between story telling and the recipe itself. 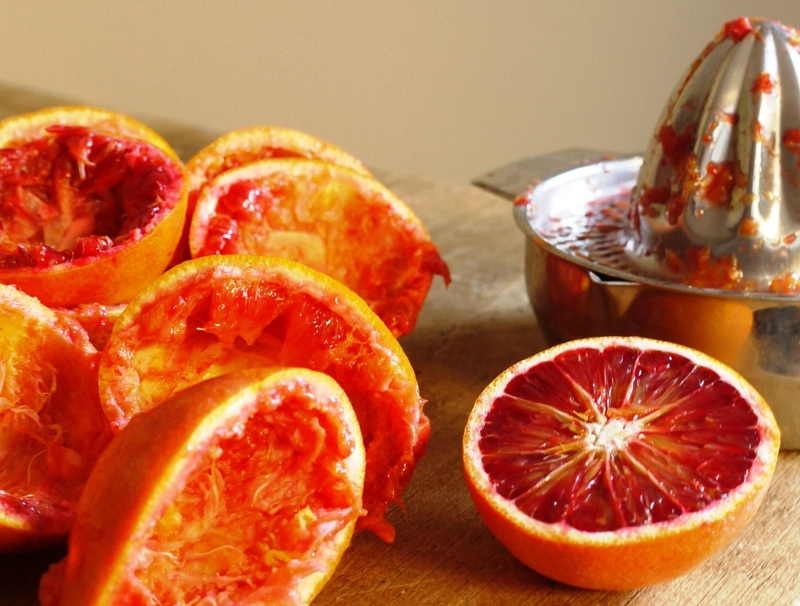 I love sgroppino and I love the idea of using blood oranges, a real treat. North South Food – they are so delicious, lemon or blood orange flavoured. Heaven in a glass! Amy – thank you and I totally agree about living in the moment – sometimes life is too short to take photos! Elaina – haha, thank you, glad you did! Laura – thank you! The camera I’m using at the moment is my Dad’s…I really need to invest in a proper one before he asks for it back! Oh, Loaf. what incredibly photos. I think blood oranges are so photogenic! I’m the sort of person who looks at the photos, reads the recipe and reads a select amount of the blurb – as you can tell, since I’m replying to it. :D.
I do it all, I scroll through to see the pictures and recipe and then go back up to read. Your posts are just great. You strike a great balance between the post and recipe. This recipe is totally up my alley! Thanks for sharing. Frugal Feeding – all that ruby red flesh inside makes them a must for photographs! Lorraine – haha, I’ve never done that although can totally see it being the kind of thing I’d do for the sake of the blog! Erin – so glad to have helped you discover this delicious drink – a kind of daiquiri crossed with a bellini with a unique flavour all of its own! I’m a total picture person. Those blood oranges are gorgeous! But I love your words too and this cocktail sounds absolutely perfect. I love sgroppino after a meal (and love that you call it that way, the typical way to call it in Veneto where I grew up – many don’t) but have never had it in blood orange form and will now think about it until I make it. Oh, and by the way, I am the kind who always reads every word of the blogs I follow consistently and loves the pictures and usually reads the recipes (if it is something I like, I am curious about or intend to make of course). I’m definitely a reading-the-writing person–which is good, since I’m not the best photographer. 🙂 I’ve never heard of a sgroppino before, but it sounds wonderful! I know what I’ll be drinking this summer. The first and only time I had sgroppino was on my first night in Venice, and I’ve never forgotten it. But back here in the UK, I couldn’t seem to find any information about it, so I was delighted to see the word leap out at me from your blog. And such a great word too! Exotic, hardly Italian sounding. If the drink was as beautiful as your orange photos are, then it was a marvel indeed. I’ve never had a sgroppino, but I want one now, from your description. I also love anything with blood oranges. I’m one of those people who scroll straight to the recipe, then go back and read everything, and then admire all the photos. so I guess I’m all in one, and I really really loved every bit of this post! gosh, just look at the colours of those blood oranges! Baking Serendipity – thank you! Blood oranges are so photogenic. Nuts About Food – to be honest, I reckon I’d get a telling off from the Italians for deviating from the lemon sorbet classic, but this version is so good! Euan – they did look very beautiful – pale red and icy with a light foam on top. Next time I’ll take a picture, promise. 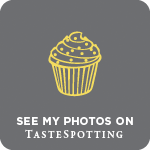 Delicieux – I’ve seen some incredible cocktails on your blog so I know you’d make a good one! Jesica – aw, thanks for the lovely comment and the blog award. Shuhan – they’re so pretty aren’t they? Ooh cockails! I love the idea of this one as it is so refreshing. I bet you could do something similar with lemon also well any fruit really I guess you could have endless flavours combinatons. Sgroppino made with lemon mousse ice cream, is probably the most addictive drink I ever tasted. I could have it every day. I remember the only real hangover of my life after a night of these; it was like having ice cream, so I had too many! Great post. Love it. Cake Boule – the lemon version is the classic! Yum yum yum yum yum yum yum GULP.